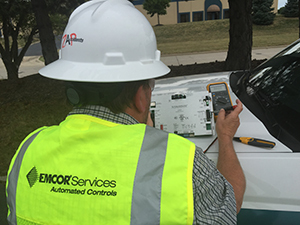 EMCOR Services Automated Controls is a turnkey solution provider of building automation and energy management systems for a variety of commercial, industrial, and other facilities. We specialize in designing and installing advanced automation solutions with intuitive and interactive graphical user interfaces. For over 20 years, EMCOR Services Automated Controls has been an Automated Logic Corporation dealer. Automated Logic Corporation designs and develops intuitive, intelligent, complete controls and interfaces to help drive smart decisions that optimize building performance.